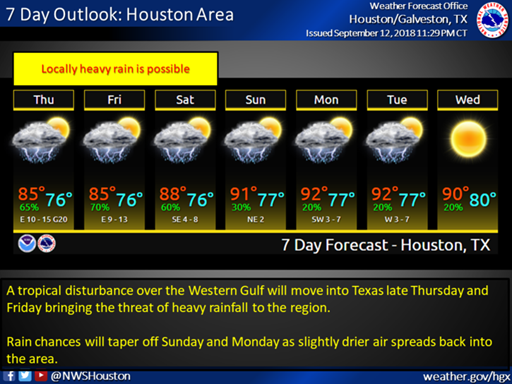 Missouri City Emergency Management officials are monitoring National Weather Service forecasts that show numerous showers and thunderstorms are possible through the weekend, as a tropical disturbance moves inland along the Texas coast. Locally, heavy rainfall is possible, and flooding could develop mainly along the coastal areas. Hurricane Season runs through Nov. 30 and this month is peak time. Currently, meteorologists are watching multiple storms in the Tropics, noting that the 2018 season is one of the most active forecasters have witnessed in a long time. As emergency management experts here track weather developments, they caution citizens to make sure their families are prepared for any disaster that may impact the area. 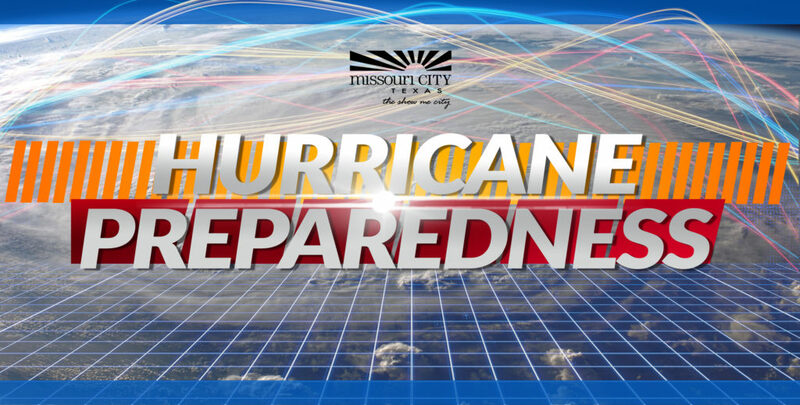 Residents are encouraged to visit our emergency management website, www.missouricityready.com to learn more details and to sign up for emergency alerts. Residents are also encouraged to sign up to receive emergency alerts via Twitter.com/MissouriCityEM. The 2018 Hurricane season begins today and runs through Friday, Nov. 30. If disaster strikes, our Emergency Operations Center is prepared to respond. In a disaster, communication between the City and residents is key; we saw this first-hand last year with Hurricane Harvey.  Residents and businesses in Fort Bend and Harris Counties are encouraged to sign up for emergency alerts and to learn how to prepare supply kits and stock up on necessary items such as non-perishable food, water, flashlights, batteries, radios, first-aid kits, cell phones, chargers, maps and important documents. Residents may also sign up for Emergency Management alerts via Twitter.com/MissouriCityEM. While Fort Bend is designated by the State as a pass-through county for evacuees who live along the Gulf Coast, residents are still encouraged to prepare themselves and stay aware of the potential for severe weather that can accompany tropical systems. Assess your risks and know your home’s vulnerability to storm surge, flooding and wind. Prepare your home, pets, kids and those that need extra assistance ahead of a storm using tips from the “Be Ready” section. Understand National Weather Service forecasts, and especially the meaning of hurricane and tornado watches and warnings. Tornadoes: A watch is an alert to monitor the skies and a warning signals that a tornado has struck the ground and shelter must be sought immediately. Lightning: Avoid high objects, stay away from isolated trees, telephone poles or communications antennas. Avoid contact with metal surfaces and do not bathe, swim or boat. Only use the telephone for emergency purposes. Flash Floods: Never drive through flooded roadways, do not cross flooded roads or waterways on foot, avoid ditches and storm drains and stay tuned to local media for road reports and updates. Remember—Turn Around, Don’t Drown. Tornadoes: Texas is struck by more tornadoes than any other state. The safest places to seek shelter in homes, schools or workplaces are interior rooms, such as bathrooms, closets, rooms without windows, hallways, auditoriums and gyms. If driving when a tornado strikes, leave the vehicle and lie flat in a ditch or ravine, if possible. To learn more about hurricanes, severe weather preparedness and other tips, Review Document. For more information about Missouri City, please watch the City websites, like us on Facebook—fb/MissouriCityTX, follow us on Twitter, Instagram and Snapchat—@MissouriCityTX and watch Missouri City Television (Ch. 16 on Comcast and Ch. 99 on AT&T U-verse). As we approach the third anniversary of the tragic Memorial Day flooding and remember the catastrophic events of Hurricane Harvey, Texas Governor Greg Abbot proclaimed May 21 to 25 as Flood Awareness Week. He encourages all Texans to be informed and prepared for floods and flash floods, and to always remember “Turn Around, Don’t Drown”. 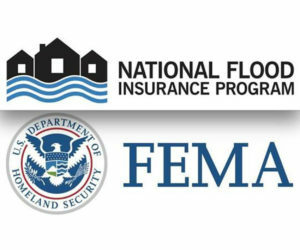 It is advised that Texans should also now consider the benefits of flood insurance even if they don’t live in a part of the state that’s prone to flooding. For more information on how to get flood insurance, please visit www.floodsmart.gov. Also, residents are reminded that the 2018 Hurricane Season starts in 10 days and, if disaster strikes, Missouri City’s Emergency Operations Center is ready to respond. In the meantime, residents and businesses in Fort Bend and Harris Counties are encouraged to sign up to receive emergency alerts and to learn how to prepare supply kits and stock up on necessary items such as non-perishable food, water, flashlights, batteries, radios, first-aid kits, cell phones, chargers, maps and important documents. Residents may also sign up for Emergency Management alerts via Twitter.com/MissouriCityEM. The 2018 Hurricane season blows in on June 1st. If disaster strikes, Missouri City’s Emergency Operations Center is ready to respond. Residents may also sign up for emergency alerts via Twitter.com/MissouriCityEM. Understand National Weather Service forecasts, and especially the meaning of hurricane and tornado watches and warnings. Hurricanes: For a storm watch in this category, forecasters would report a possibility of winds of 74 mph and higher within 36 hours. For a warning, forecasters would report a possibility of winds at the same speed within 24 hours. Tornadoes: A watch is an alert to monitor the skies and a warning signals that a tornado has struck the ground and shelter must be sought immediately. Flash Floods: Never drive through flooded roadways, do not cross flooded roads or waterways on foot, avoid ditches and storm drains and stay tuned to local media for road reports and updates. For more information about Missouri City, please watch the City website:www.missouricitytx.gov, like us on Facebook—fb/MissouriCityTX, follow us on Twitter, Instagram and Snapchat—@MissouriCityTX and watch Missouri City Television (Ch. 16 on Comcast and Ch. 99 on AT&T U-verse).